October 1st marked the official opening of the 2014/2015 regular season of the Queen Conch (Strombus gigas). 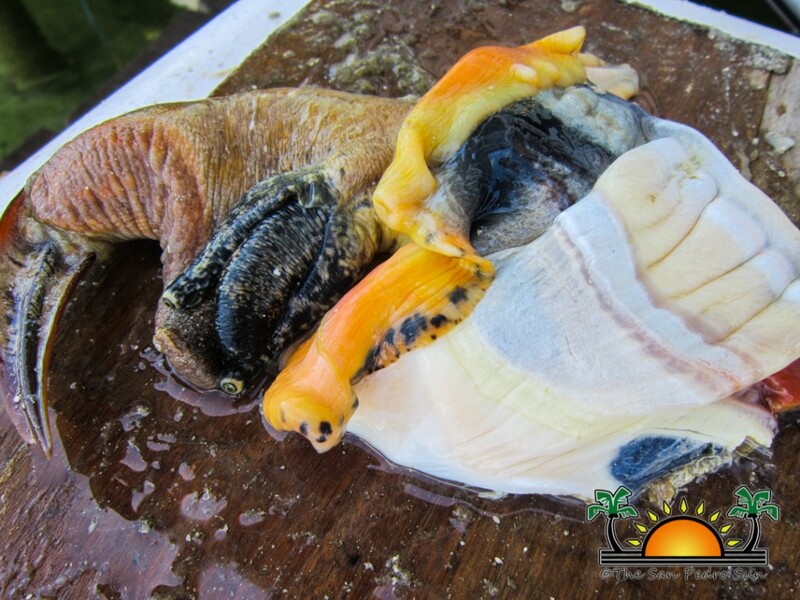 Conch harvesting yields an estimated $11 million annually into the country’s fisheries industry, a significant revenue earner for traditional fishermen. The season runs from October 1st until June 30th of the following year. It is estimated that a total of over 1 million pounds will be harvested this year. According to the Belize Fisheries Department, only persons with a commercial Fishermen’s License are allowed to catch conch for commercial purposes (sell). To protect the industry, the Fisheries Department is encouraging establishments that purchase conch for consumption from the local market, to request a legal commercial Fishermen’s License from the supplier. In addition, they are also encouraging fishermen to abide by the law as it relates to legal size of conch, to ensure the sustainability of the Strombus gigas species. The legal size of a conch allowed for harvesting is seven inches in length (from the tip of the Siphon - pointed part of the shell - to the longest point on the lip). For conch flesh that has been processed as market clean, the weight should exceed three ounces. Filleted flesh (completely processed white meat) should exceed 2.5 ounces. The Fisheries Department says that penalties for the violation of the law as it pertains to illegal harvesting of conch or undersized conch varies. In any case, penalties should not exceed $500 or a summary conviction of six months imprisonment upon sentencing. If found guilty of an offence, the judge may choose to impose an individual charge per conch, which normally does not exceed $50 per conch. According to the Fisheries Department, before an annual quota is set, an assessment of the conch abundance is conducted with the help of various marine reserves who carry out an annual conch survey in Belize’s waters. The assessment is an exportation requirement under the Convention on International Trade in Endangered Species of Wild Fauna and Flora (CITES). While the assessment is still being put together, the Fisheries Department is expected to make a quota announcement in the first two weeks of the conch season. Last year, a little over 1 million pounds of market clean conch and a little over 8,000 pounds of fillet conch were harvested. That yielded an estimated $11.06 million into the country’s revenue. It is estimated that at least 10% of total conch harvested is consumed locally (by law 5% must stay in Belize). 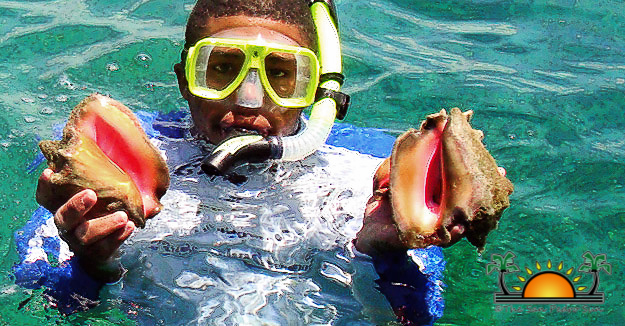 In Belize, conch is a common staple on most restaurant and home menus during the open season. The flesh is commonly prepared in ceviches, conch fritters, soups and even chowders.